I wonder if there’s something in the mentality of an islander that causes us to continually seek out other islands to visit. Are we carefully sizing them up against one another, trying to complete the set or simply on the lookout for that next great escape. There’s probably an element of truth in all of those but today our motivation was nothing more complex than the very fact that our next island was simply there for the taking. 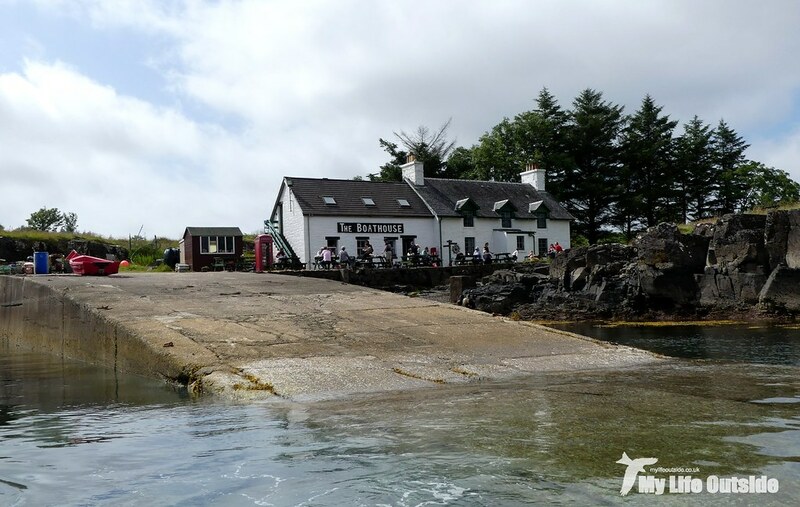 Ulva sits just off Mull’s north west coast and is accessed via ferry on an epic journey lasting less than a minute. Granted the scenery is spectacular with Ben More glowering over you from down the end of Loch na Keal but it does make me wonder why on earth it’s taken us over a decade to finally make the trip. And what a brilliant way to start. No timetabled service or complex booking system required here. Oh no. Instead a wooden slat is slid aside revealing the red square beneath, all that’s required to summon the ferry and the start of your adventure. Being so close to Mull and with very similar geology you’d expect the two to be almost alike. I know I certainly did. It came as a surprise therefore to find Ulva in possession of its own unique character, noticeably calmer than its bustling neighbour which itself could hardly be described as busy. Nevertheless that step change is clearly palpable and the differences spread to habitats as well. Whereas Mull, as we’ve already seen this week, is all rugged coastline and boggy interior, Ulva manages to cram in everything from native woodland through heather moorland to lush pasture. 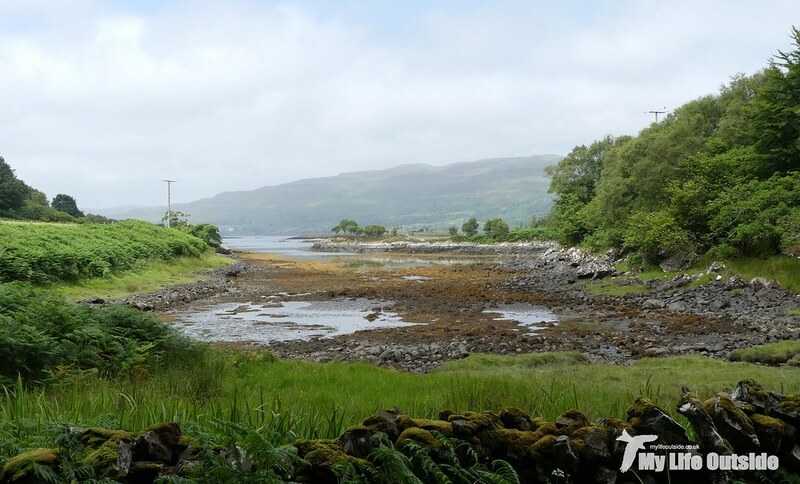 Yes Mull has pockets of these habitats too but on Ulva everything can be found within a couple of miles meaning that when exploring you’re never quite sure what’s going to be round the next bend. With no chance of seeing everything in a single day we elected to stick to the southern end of the island, following first a woodland trail which delivered no end of Siskins and Lesser Redpolls. Here too were three Tree Pipits and a pair of juvenile Bullfinches, not to mention our first House Martins of the entire trip. 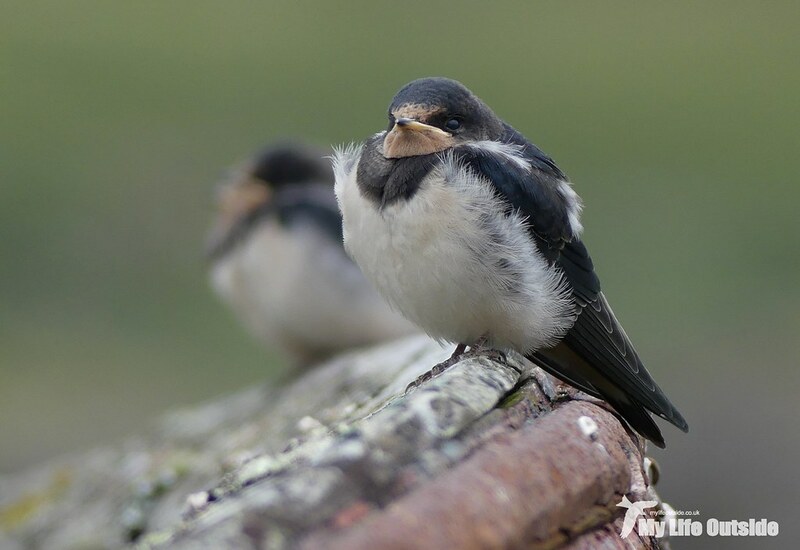 Top marks for cuteness though have to go to three juvenile Swallows lined up outside the boathouse, their parents dropping in at regular intervals to feed those gaping mouths. Now it may at this point become a little obvious that sunlight was distinctly lacking. And with good reason. Ever since dawn a mist had been lying heavy on the surrounding hills but it did at least provide for some dramatic landscapes as we followed the coast along. Leaving the calm waters of Ulva Ferry behind we were soon alongside Loch na Keal proper, looking out to open sea and across to Inch Kenneth with the Gribun cliffs beyond. Probably not the place you’d expect us to find out first Mallards of the holiday but low and behold four females flew by before landing in the choppy waters. There were also more of those damned Common Sandpipers, at least ten in fact, all of which continued their penchant for legging it at the first sign of a camera despite my pep talk in the last post. Never mind, at least we finally got to nail some positive tern ID’s with both Common Tern and Arctic Tern showing well. 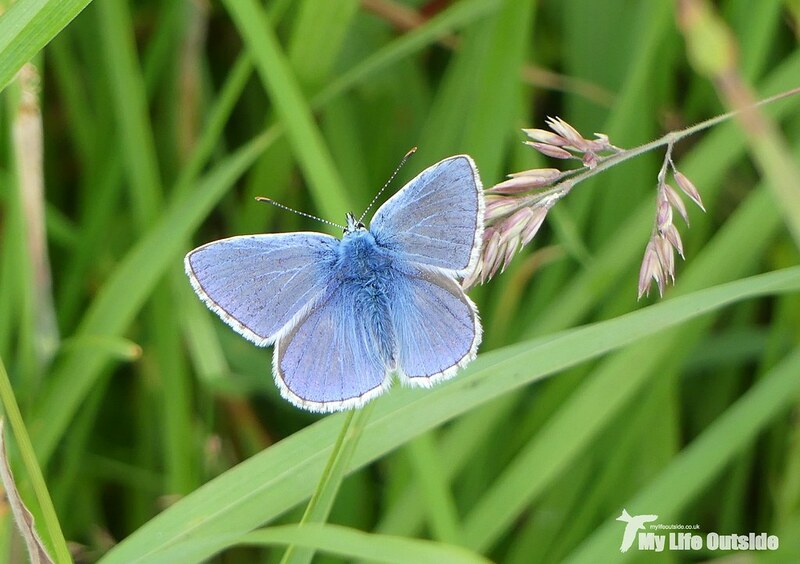 With the sun starting to break through there were even some butterflies on the wing including plenty of Speckled Woods (normal and Scottish varieties), Dark Green Fritillaries and several Common Blues. I was just as interested in the history of the island however, and it’s hard to ignore when you’re constantly walking alongside tumbled down stone walls or passing abandoned croft dwellings. 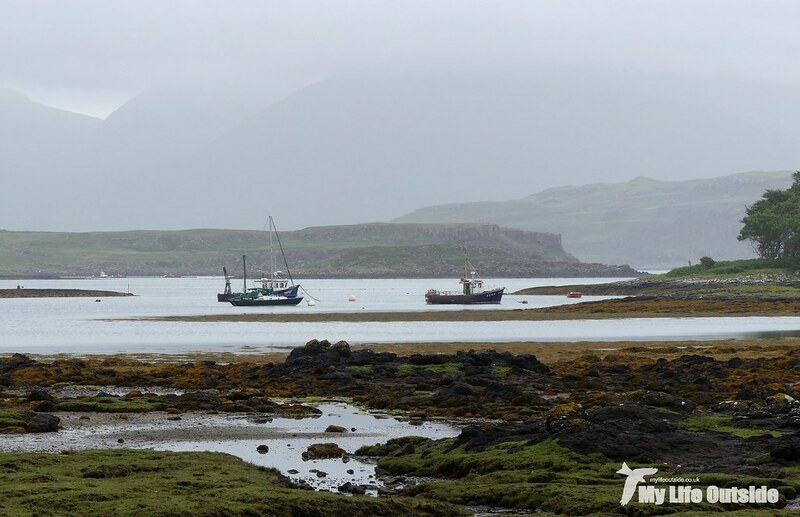 Looking around today it’s difficult to imagine that Ulva was once home to six hundred souls, almost all making a living from the kelp industry before its unfortunate collapse. If that wasn’t a big enough blow to the local economy a potato blight then hit leaving even those which had crofting to fall back on destitute. What followed, as it did across much of Scotland, were the clearances with people moved off the land in favour of large scale sheep farming. Unable to find work elsewhere many ended up migrating to America or Australia, journeys themselves which must have been daunting to say the least. Amongst them were probably the parents and grandparents of famous African explorer David Livingstone whose ancestral home still stands on Ulva. Today Ulva's residents may be less illustrious but they can certainly still pack a punch as we were soon to discover. Having gained height we found ourselves at the heart of the island amongst a landscape which wouldn’t have looked out of place in northern England. Heather flowered, Meadow Pipits called and, what’s that sat on the fence post? Yep a female Hen Harrier showing off beautifully. 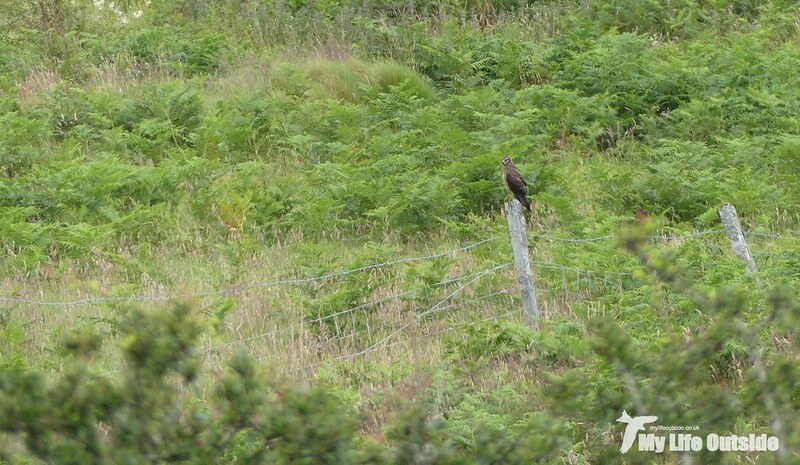 In fact it took me a moment to recognise her for what she was as how often do you get to see one of these majestic birds just sat instead of soaring across distant moorland. Her face looked so dainty but make no mistake these are fearsome hunters as the unfortunate prey which she dived down to strike was about to find out. Reappearing further afield we left her to it and dropped back to the coast and our return ferry trip. We’d walked at least seven miles but had barely scratched the surface of Ulva meaning that a return visit is definitely on the cards next time we’re up. And by the way, if you’ve got a little spare cash burning a hole in your pocket then Ulva is currently on the market for a cool £4.25 million. 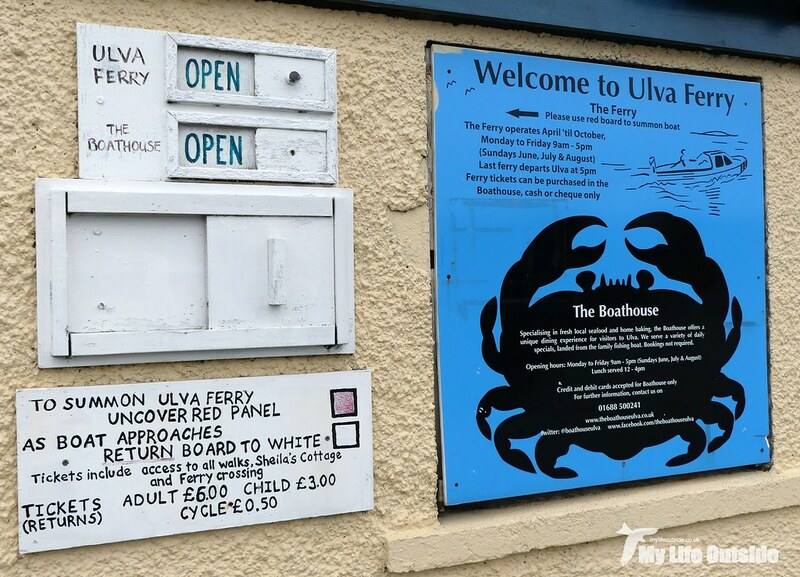 STOP PRESS: Since returning from Mull the sale of Ulva has been halted whilst a community buyout proposal is gathered. 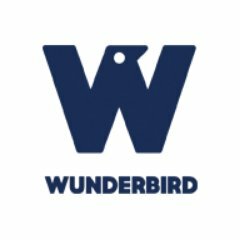 Excellent news and I wish everyone involved well. It's a great place to visit. We were hoping to be there a couple of weeks ago as part of a visit to Mull but unfortunately my wife had health problems and we had to cancel. Love this post and all your blog.